Stunning Photography to Inspire You to Visit Canada: " 2017 Country of the Year"
If you don't know it already, Canada has been named 2017 "Country of the Year"by Lonely Planet. I was so thrilled Canada received this vote, it has so many amazing destinations to visit. In this post , I am sharing my travel photography from western Canada: Vancouver BC, Whistler, and Banff. These breathtaking sights are some of the best in the world! This is a just a small glimpse of the great land, I am so proud to call home. 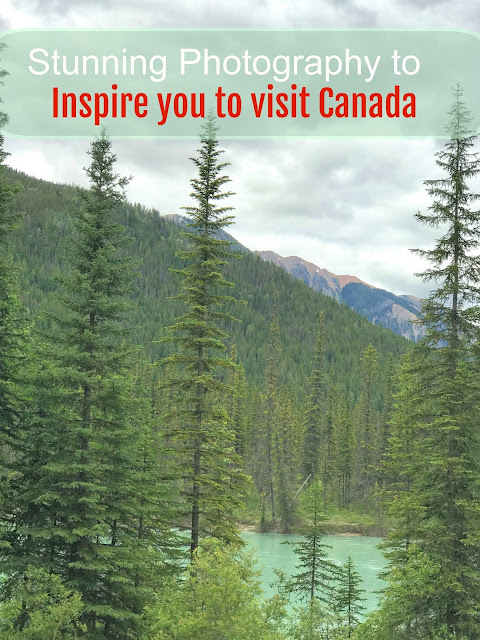 If your're planning a trip in the new year, I hope this inspired you to put Canada on the itinerary! If you need help planning your Canadian vacations, check out my tips and guides here. If you loved this post, please share it on Pinterest by clicking on top left corner of the image, thanks! The colors are stunning. I love everything about Canada especially the stark difference in the cities which are amazing and nature which is awe inspiring. I so agree...such a different landscape and vibe from here in the US..I miss it so much..thanks for stopping by! I would love to visit Canada! I've never been but always wanted to go. Hey Jessica, I sure hope you get to visit soon! Beautiful pictures! I have never been to Canada but would love too! Thank you so so much Natale, I hope you can and wow I would love to see your country as well..I am hoping to go to Europe this next year..Austria would be so dreamy! Wow! Gorgeous photos! I love all the fall foliage and different colors on the trees. Thank you so much...I caught Whistler on the perfect fall day! Awe thank you...I hope you get to go next year..you will love it! It all does look so lovely! I have been to Canada 3 or 4 times in my life. We're hoping to take our kids to Niagara falls this year but we must get our passports first. I'd love to take them to Quebec too and tour more of the country while we're there. That would be so amazing! I have never been to Eastern Canada, I am hoping to travel more next year..I am so Pining to See Quebec! Canada is truly stunning. I would love to see it with fall foliage! YEs Whistler is amazing in Fall, however i want to see it in the winter now!! I hope you get your wish! Dang! Now I'm wanting to visit. Had no idea it was so pretty there. I am so happy this inspired you to visit! Stunning landscapes and photographs. I love to visit these places someday. Thank you so much, I sure hope you can! I never cared for Canada until a friend showed me pictures of her trip there. I fell in love and your amazing pictures are making me want to go even more. Hoping to go soon. Great, This is what I love to hear, I hope you get to go! I've always been obsessed with photos of Banff and it's one of the places I'd really love to visit. Hopefully by next year, I'd get to visit Canada. Love the photos! So great to hear, Banff is so dreamy, almost like its too good to be true, I havent even touched the surface there! Thank you Lindsay, I am so glad you enjoyed it!! I have not been to Montreal I am dying to go there! Thank you Patti, I have never been to Toronto yet, I have a cousin there and really want to go! Take care!